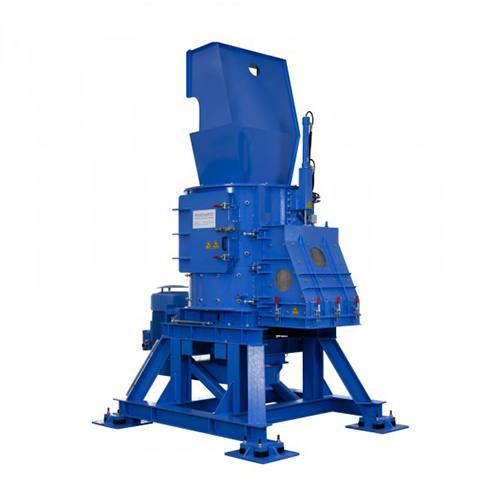 The R Series, aka Rotacrex, of powerful vertical shredders can be used as either a primary or universal size reduction solution for a mix of bulky industrial electrical and metal waste materials. 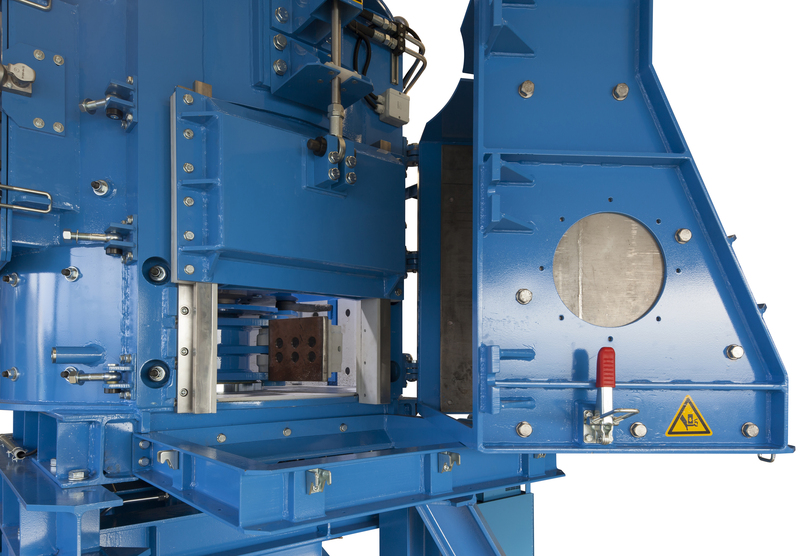 Unlike the majority of our shredder ranges, which use knives and blades to cut material, the principle of operation of the R Series is impaction and as such is virtually unaffected by foreign materials. 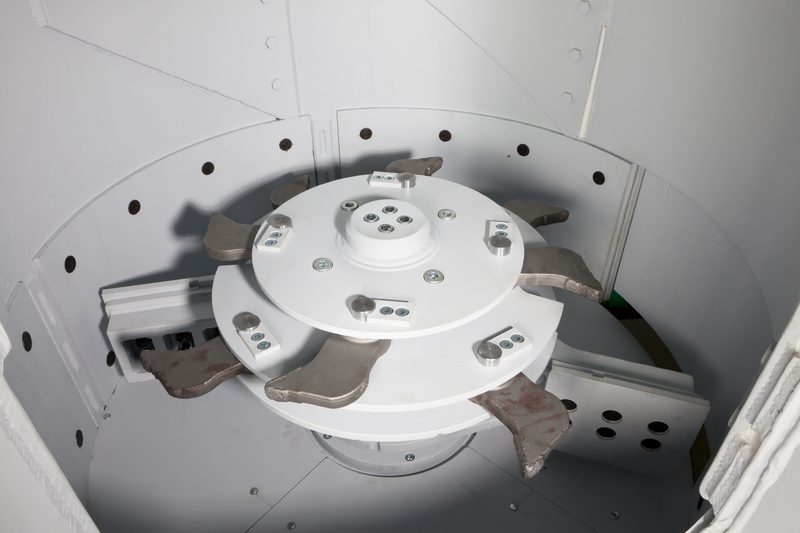 Repeated contact with the rotating impact tools subjects the process material to centrifugal forces which collide feed material both against itself (accounting for approximately 80% of reduction) and the chamber impact plates providing extremely short process times. 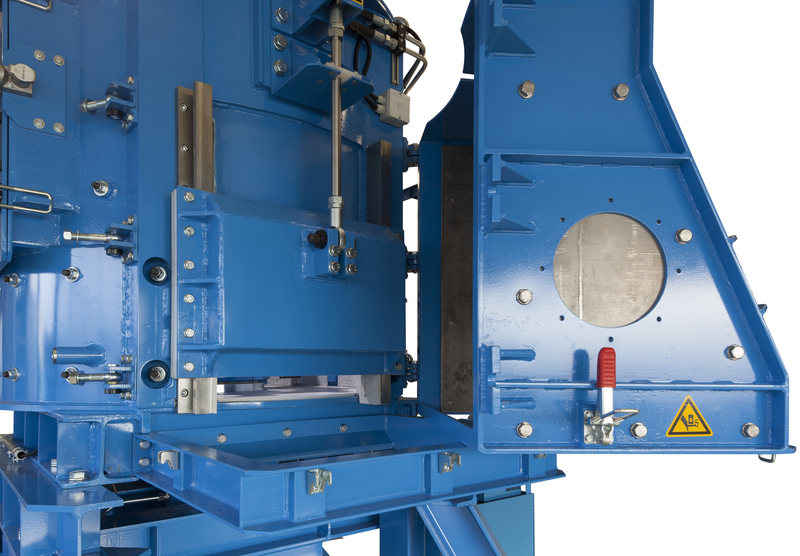 One of the key features of the R Series is the design of the impact plates and tools, innovatively mounted to absorb shock from contact with heavy objects avoiding transmission or motor damage. After an event the impact tools automatically swing back into their contact position. 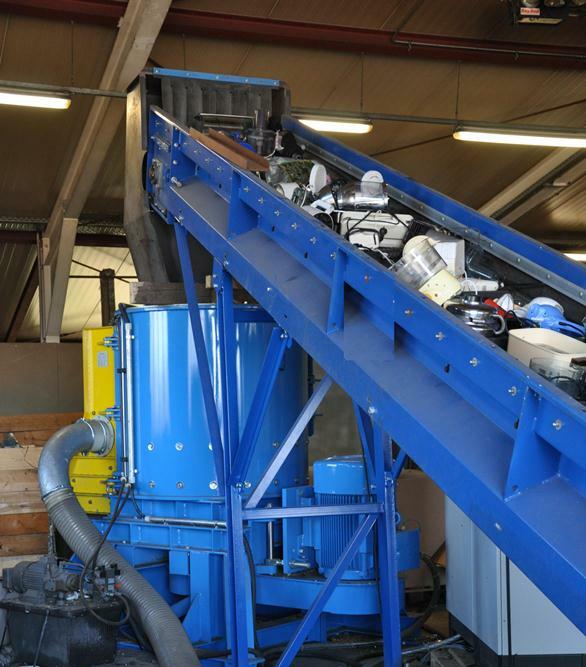 As the first stage in a size reduction solution they can present significant cost savings in energy consumption and consumable service expenditure, by reducing the required capacity of the secondary shredder and deterioration of the cutters. The R Series low cost impact components are extremely hard wearing with long life and minimal down time (due to rapid exchange in minutes rather than hours). 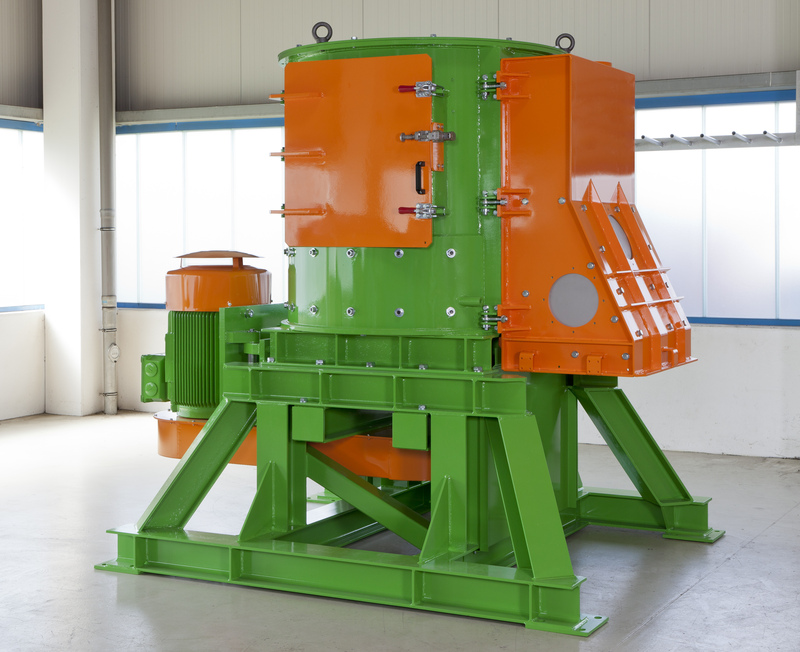 The size reduction ratio is determined by the length of time process material spends within the chamber. Once the material reaches the appropriate size it exits the shredder via a regulator gate for conveying for containment or further processing. 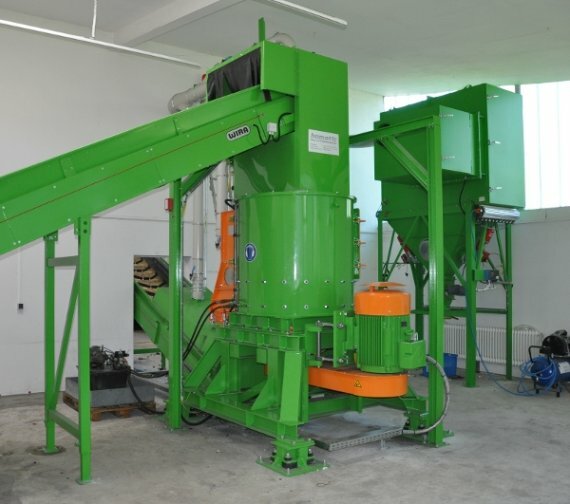 Rapid size reduction of mixed waste electrical materials.